Dawn of Midi is a Brooklyn-based acoustic ensemble made up of Aakaash Israni from India on double bass, Amino Belyamani from Morocco on piano and Qasim Naqvi from Pakistan on drums. Formed in 2007, the band name was happened upon after Naqvi casually uttered the phrase by chance as a non sequitur for the improvised music the trio was making at the time, they had no idea that years later they would make an album like Dysnomia that would make their name appear fateful. Having met at California Institute of the Arts in Los Angeles in 2006, the trio found their original rapport through late night tennis matches on the campus court. The chemistry they founded there eventually led them back indoors to improvise together; something they did in total darkness to deprive themselves of all their senses except the crucial one — their hearing. 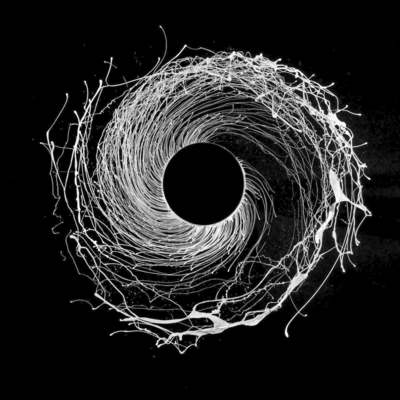 With Dysnomia, released on Erased Tapes in 2015, Dawn of Midi abandon improvisation in favour of composition, utilising sophisticated rhythmic structures from North and West African folk traditions to weave a sonic tapestry of trance-inducing grooves. From close up one may see only dots, but when stepping back an undulating image reveals itself.